GEDCO OMNI 3D Design - пакет обработки 3D сейсмических съёмок и проектирования сейсмических работ. 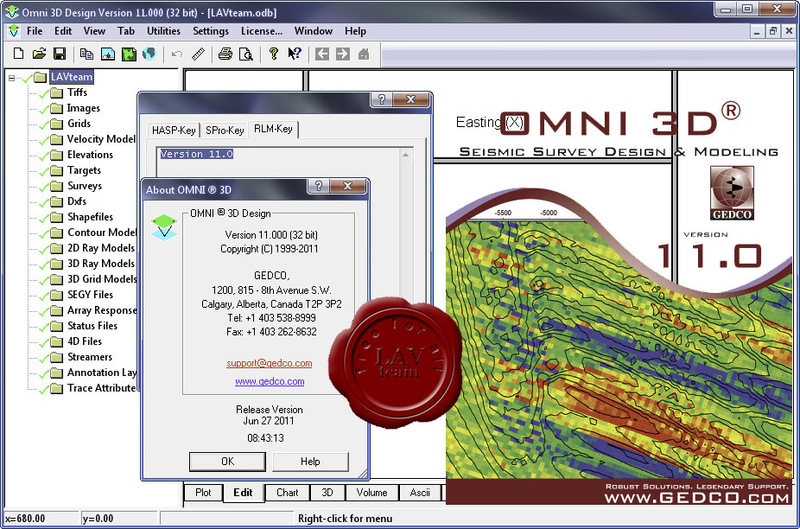 GEDCO OMNI 3D Design is the industry standard for seismic survey design and modeling. Developed by geophysicists for geophysicists, GEDCO OMNI 3D Design is used by hundreds of specialists around the globe for the planning, execution, and analysis of land, marine, transition zone, VSP, and multi-component surveys. GEDCO OMNI 3D Design features a superior user interface and a versatile multi-project handling capability, both of which allow users to quickly and effectively analyze and monitor their seismic acquisition projects. x86 version with tutorials you can find here. VISTA is a leading software package for QC and complete processing of 2D/3D seismic data acquired on land, offshore, or through VSP. 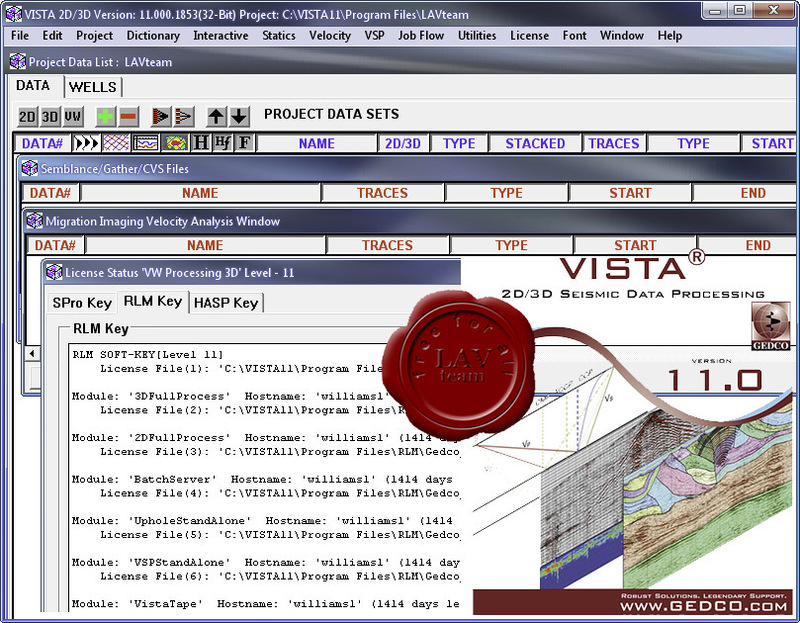 First developed in 1985 as the market's first PC-based seismic data processing software, VISTA - which is also available for the LINUX environment - delivers proven algorithms for optimal field quality control to complete office processing. By taking advantage of VISTA's flexibility, reliability, and ease of use, processors increase their efficiency while maximizing the dependability of their results.